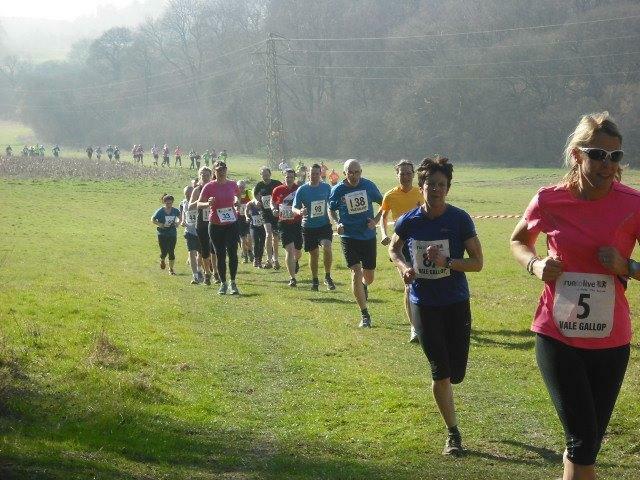 Now in its ninth year the Vale Gallop promises to be a proper cross country run and combines both a 10k and 4K course. Organised by the Mid Surrey Pony Club the race starts and finishes from their HQ at the top end of Hurst Road Walton on the Hill KT20 5BN. This is certainly a mixed terrain run with an undulating course around Langley Vale Farm, Ebbisham farm with a few bridlepaths and Ebbisham Lane thrown into the mix. Run across fields not usually open to the public, including the famous ancient Vale Gallop used by racehorses over the centuries and admire the views of the famous Epsom Downs racecourse. This 10K event is recommended for those over 15 years of age and the 4K for 11 years and above.